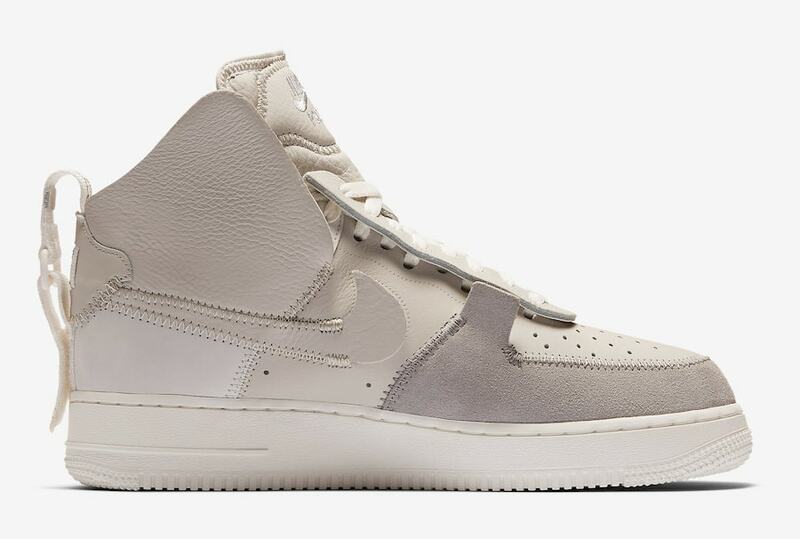 Public School New York has worked closely with Nike for several years now, releasing a long list of limited edition Jordan footwear. 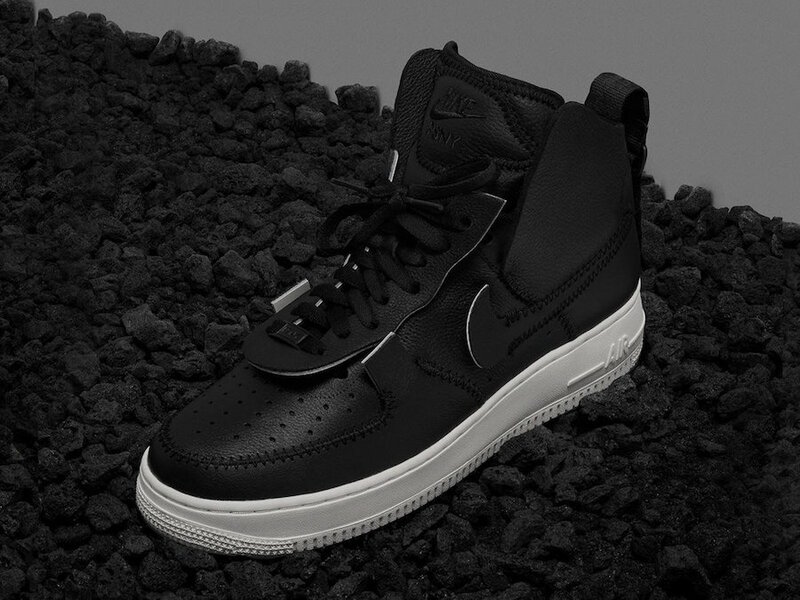 Now, the NYC boutique is teaming up with the Swoosh for their first official Nike release: the Air Force 1 High, coming soon. Nike’s Air Force 1 is one of the brand’s most iconic silhouettes. 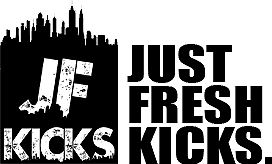 First established as a premier basketball shoe in the early 1980’s, the AF1 quickly found its place in Nike’s Pantheon of legends when it was adopted by New York’s hip-hop culture shortly afterword. To this day, white on white Air Force 1’s are one of the most popular sneakers still in stores. Now, PSNY is bringing a new twist to the famous silhouette, with a premium makeover and a wild new construction. 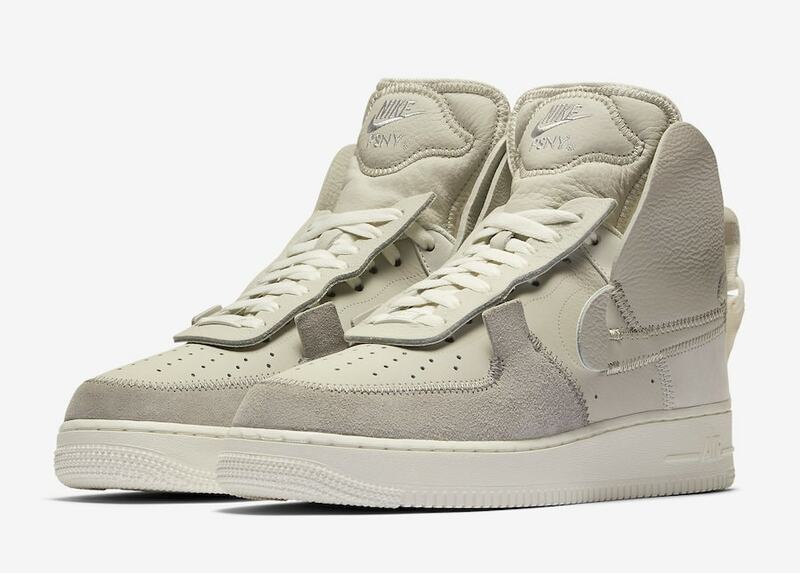 Though the PSNY x Nike Air Force 1 is being billed as the “High” version of the silhouette, it more likely lies somewhere more towards “Hybrid” territory. 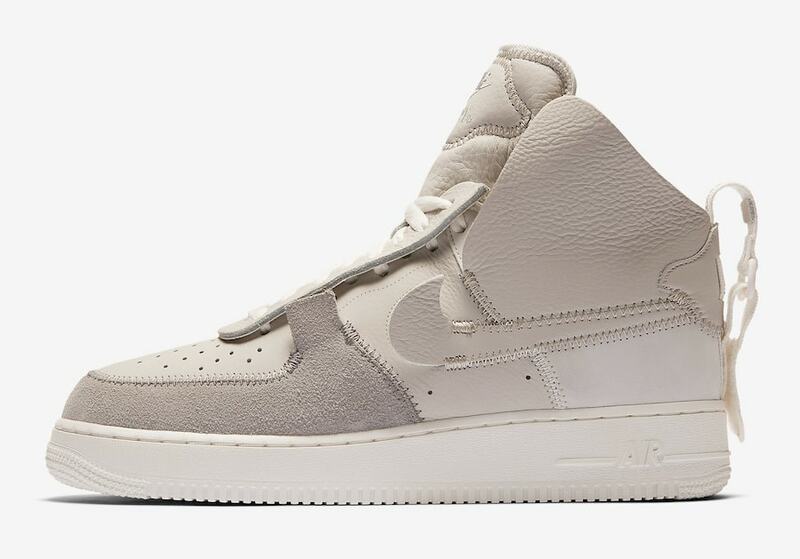 Public School has taken some serious creative liberties with their new Air Force 1, some that will certainly remain in the minds of aficionados for years to come. 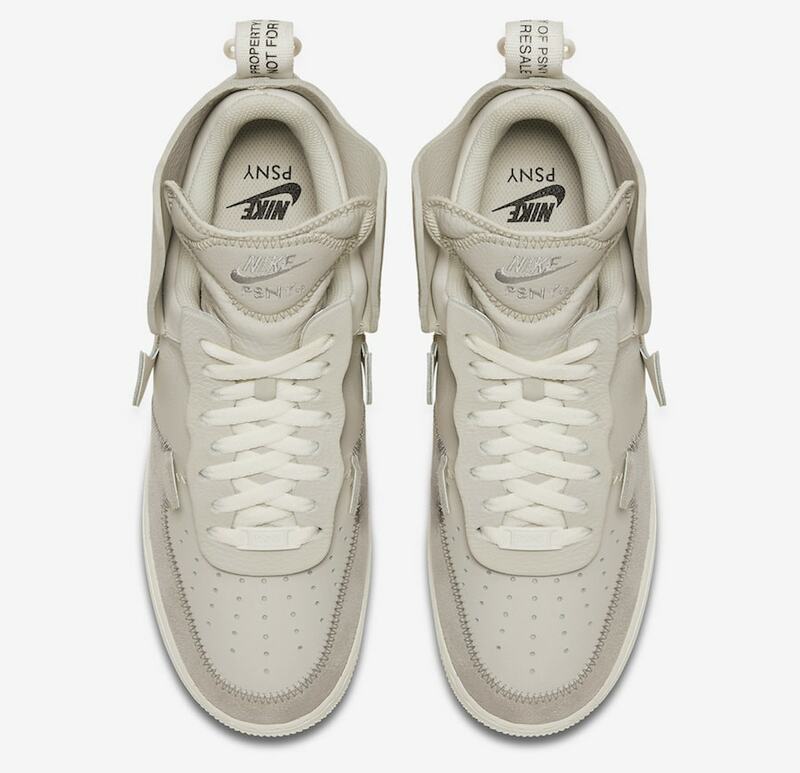 First, PSNY began with a standard Air Force 1 Low silhouette. Then, pieces constructed from luxurious materials are added around the collar, toe box, tongue and eyestays to transform the shoe into its high-top counterpart. 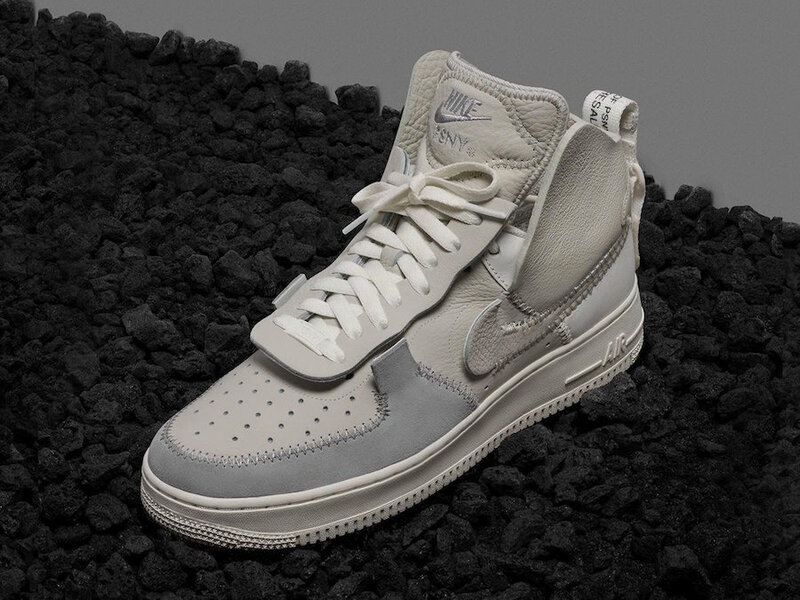 The unconventional new approach to the Air Force 1 High is unlike anything we’ve ever seen before, due to the seemingly haphazard construction that upon further inspection, reveals itself to be rather ingenious. 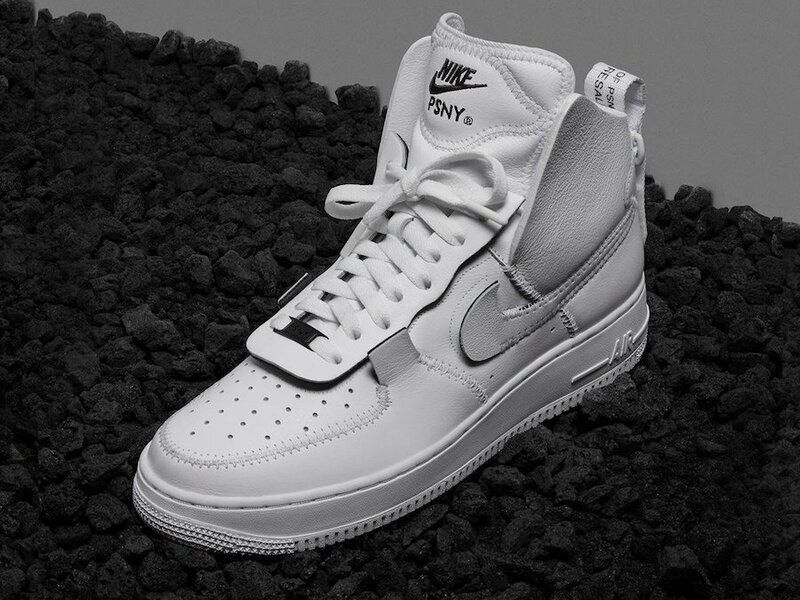 The PSNY x Nike Air Force 1 High is officially scheduled to debut on September 4th, 2018, at a New York City pop-up shop hosted by the brands. Then, the limited edition AF1s will launch globally on September 5th. 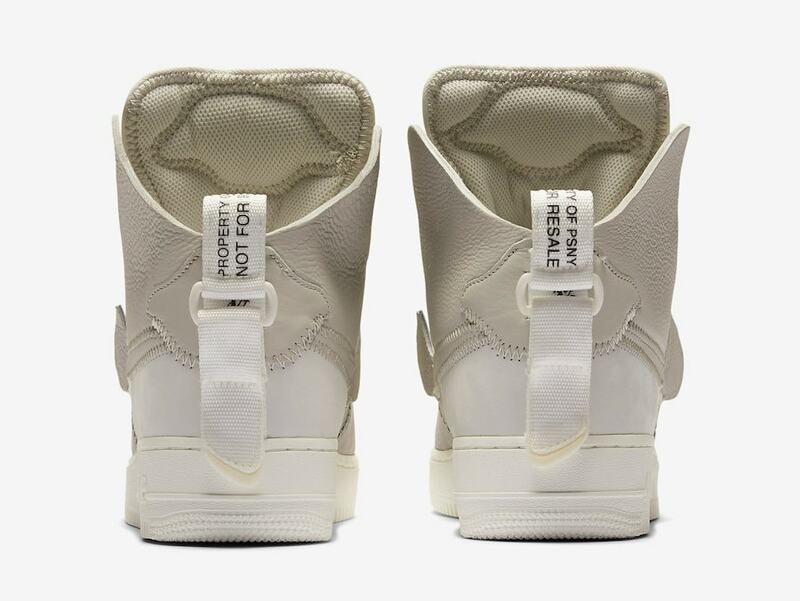 This premium take on the timeless classic will retail for a hefty $200, though given the materials used and attention to detail, the price is perfect. Check out the official images below for a better look, and stay tuned to JustFreshKicks for more Nike release dates.